A Christmas Carol by Charles Dickens This Prestwick House Literary Touchstone Edition includes a glossary and reader's notes to help the reader fully appreciate the beauty and humor of Dickens's work. 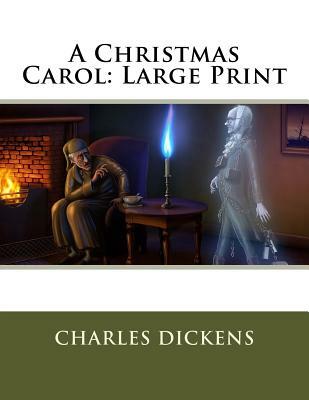 In his "Ghostly little book," Charles Dickens invents the modern concept of Christmas Spirit and offers one of the world's most adapted and imitated stories. We know Ebenezer Scrooge, Tiny Tim, and the Ghosts of Christmas Past, Present, and Future, not only as fictional characters, but also as icons of the true meaning of Christmas in a world still plagued with avarice and cynicism. We are delighted to publish this classic book as part of our extensive Classic Library collection. Many of the books in our collection have been out of print for decades, and therefore have not been accessible to the general public. The aim of our publishing program is to facilitate rapid access to this vast reservoir of literature, and our view is that this is a significant literary work, which deserves to be brought back into print after many decades. The contents of the vast majority of titles in the Classic Library have been scanned from the original works. To ensure a high quality product, each title has been meticulously hand curated by our staff. Our philosophy has been guided by a desire to provide the reader with a book that is as close as possible to ownership of the original work. We hope that you will enjoy this wonderful classic work, and that for you it becomes an enriching experience.